A super fun wine club for fans of TCM (Turner Classic Movies). Wines are paired with classic movies to add an extra dash of relaxation to your movie night. While suppose it might seem a little on the gimmicky side, there is solid content behind these wine and movie pairings adding credibility to this wine club. Because of the unique wine and movie pairing theme, we'd love to see this offered as a gift! We can't find a link to TCM Wine Club. Please have a look around our site to see if you can find something else you'd like. The TCM Wine Club is a partnership between Turner Classic Movies' TCM TV channel and a wine club provider that runs wine clubs for many other companies, too. What is unique about the TCM club is that TCM is quite involved in the selection of the wines and each shipment contains wines that are paired with movies which will air on their TV channel over the following few months. Whether you're a classic movie buff or just want a wine club with a little extra going on, this is a great choice for a value-priced wine club. Dean Martin 'Signature Selection' Red Blend of Zinfandel, Merlot, and Cabernet. They were all better than expected, and we especially liked the Sunset Boulevard Old Vine Zinfandel. We typically find the wines from TCM Wine Club's parent company to be less fruit-forward and easier-drinking than other similar wines from California, South America, and Spain in particular. From the moment you open the box, you're already immersed in the classic movie genre with a collage of movie posters. For a classic movie lover, this sets the stage for the fun ahead. How do the wine and movie pairings work? In addition to the bonus bottles in the introductory shipment, each additional shipment contains wines paired with TCM movies to air in the next quarter (the shipments are quarterly). The pairings are thematic (Don Juan gets paired with Spanish wine, The Godfather gets paired with a wine from Coppola's winery, etc.) Here is a selection of movie and wine pairings from the TCM Wine Club website. We did not receive all of these wines. At WineClubReviews.net we take an objective approach to our star ratings system. Our written reviews are very much subjective, based on our 10+ years of wine club review experience and our own ideas about what good wine and good value mean. The star ratings are based on 11 attributes that we feel define what a wine club should be. Here is how TCM Wine Club stacks up on these traits. Note: This rating is our objective analysis of TCM Wine Club’s satisfaction guarantee—not our assessment of whether or not you’re guaranteed to be satisfied with their wines. TCM Wine Club offers what we consider a 5-star satisfaction guarantee — they'll replace wine you don't like with something you will. From their website: "Our Guarantee. If any bottles fails to delight, for any reason, just us let us know and get a full refund." We received a mix of red and white wine in our shipment. We liked most of these wines and found several of them to be of above average quality. We do not like the J Opi Malbec (which we've received numerous times from wine club partners), but many people do enjoy it. We were particularly impressed with the white wines for the price range, and found the other red wines enjoyable or unobjectionable. When it comes to the price of the wine in the TCM Wine Club, it's difficult to assess it fairly. Nearly all of the wines we received are imported or produced by TCM Wine Club's service provider — Laithwaites Wine. The wines are generally available via other Laithwaites Wine Clubs at the same prices you get from TCM's Wine Club. In some respects, the TCM Wine Club is not unique — the wines are available elsewhere, it's a 12-bottle quarterly program, etc. — however it is the only wine club we know of that pairs wines with movies, making it unique in that way. It's really quite a fun experience to have movies thematically paired with wines, and adds an extra bit of fun to movie night. 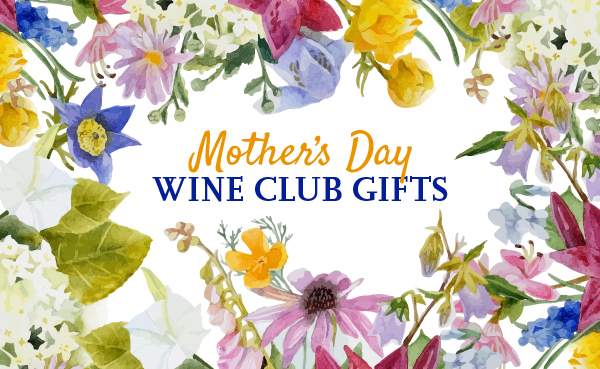 The TCM Wine Club offers a solid introductory offer with $100 savings on 12 regular club wines AND three bonus wines worth $54.97 — all for just $79.99. The regular pricing in the subscription is presented as 20% off regular prices. Again, it's hard for us to verify retail pricing. The other Laithwaites wine clubs let you purchase wine from their online store without a membership and in those instances, members DO receive 20% off the total case value of each shipment. TCM Wine Club members will reorder through the Laithwaites.com online store. From time to time you will receive special offers just for members. A personalized wine club used to mean you picked the color of your wine and how often you received your shipments. For TCM Wine Club, it still does, except you can't really change the frequency of shipments (you can skip shipments if you want). TCM Wine Club offers in-box information about each wine you receive and also details the wine, the vintage, the region, and food pairing suggestions — along with why it was paired with that movie, of course! The TCM Wine Club wines are chosen from a larger selection of wines available from Laithwaites Wine. As much as TCM Wine Club can, they curate wine to pair with their movies, so someone other than Laithwaites is selecting the specific wines for this club. We like that about this club as it's an extra level of scrutiny for the selections. We chalk both of those sets of problems up to folks not reading the fine print or trying to get a too-good-to-be-true deal and ignoring the other details. What we can't ignore though is the number of people who complain about delayed or missing shipments, as well as shipments that are prepared and billed after actual cancellations. We see far fewer of these complaints than we used to, but they still come in. TCM Wine Club has all of the standard expected conveninences of a subscription box service. The TCM Wine Club isn't great for gifting because they only offer an ongoing subscription, as opposed to a pre-paid gift. It does make a great gift for someone you live with (like your spouse) where you'll be reminded of upcoming shipments and can cancel when you've spent the amount you wanted to on the gift.